This page is a listing of older event announcements. For future events, use the “Events” link in the menu bar above. 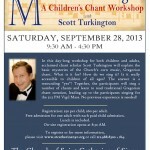 A Children’s Chant Workshop:Chant instructor Scott Turkington will present Music for the Ages, a workshop for children and adults, in New York on September 28 at St. Catherine of Siena Church in Manhattan. For registration info, see the flyer on-line, or e-mail Director of Music and Organist Daniel Sañez at dsanez@stcatherinenyc.org. Gregorian Chant Online. [Ongoing throughout year. Check schedule for class offerings and times.] Reading square notes is easy and fun. Start with the basics of the four line staff and simple neumes, and progress quickly toward being able to sing Mass ordinaries and propers, chant hymns, psalmody…the list goes on. More advanced sessions examine the Gregorian modes, theories of plainsong rhythm, and more. Taught by Arlene Oost-Zinner. Chant and Culture: the 8th annual colloquium of the Gregorian Institute of Canada; August 6-9, 2013 at the University of British Columbia, Vancouver. Two-Day Chant Workshop in Irving, TX. July 12-13, 2013. Mater Dei Catholic Church, 2030 Texas 356, Irving, TX 75060. Workshop leader: Arlene Oost-Zinner. Chant_workshop_IrvingTX. Sacred Music Colloquium XXIII. June 17-23, 2013. Cathedral of the Madeleine; Salt Lake City, Utah. Summer Chant Intensive 2013. June 3-7, 2013. Duquesne University; Pittsburgh, Pennsylvania. 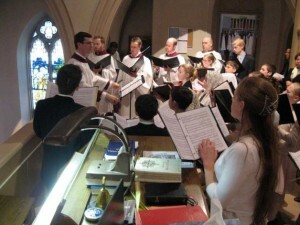 Musica Sacra Florida 2013 – February 15-16, 2013. Ave Maria University. Details here. Winter Chant Intensive 2013: January 7-11, 2013. St. Joseph Catholic Church in Macon, Georgia. Rev. Allan J. McDonald, pastor. Details here. The Aesthetics and Pedagogy of Charles Tournemire: Chant and Improvisation in the Liturgy. Duquesne University; October 21-23, 2012. The Church Music Association of America will hold a conference exploring the legacy of Charles Tournemire as an improviser and teacher of improvisation on October 21-23, 2012 on the campus of Duquesne University in Pittsburgh and at neighboring Pittsburgh churches. The conference seeks to explore the aesthetic, liturgical, theoretical, and technical principles of Tournemire’s improvisations and teachings on improvisation, the use of Gregorian chant in organ improvisation, the role of organ improvisations in the Catholic liturgy, and pedagogical approaches to teaching organ improvisation. The conference will include liturgies, opportunities for the study of improvisation at the organ, recital programs and papers relating to the conference theme. More Singing the Psalms led by Mary Jane Ballou, Director of Cantorae St. Augustine; Saturday, September 15, 9:30 am – 11:30 am; Villa Flora-Brown Hall Renewal Center, St. Augustine, FL To register call 904-824-1752 or online at www.ssjfl.org Cost: $15; Building on the first “Singing the Psalms” workshop, Mary Jane Ballou invites you to add your voice to over 2000 years of sung prayer by learning to chant the psalms in your own prayer or with your family. St. Augustine said, “He who sings, prays twice.” This two-hour workshop will show you how to use any edition of the psalms or the Liturgy of the Hours to bring song to your prayer. There will be a little history and humor, a review of the basic principles and more chants to sing. Those new to simple chant will be brought up to speed quickly and more experienced singers will increase their skills. Hand-outs and links to online chants will help you make the music your own. We will conclude by chanting midday prayer. No prior musical knowledge or experience with the Liturgy of the Hours is needed. Simple Chants for Advent & Christmas led by Mary Jane Ballou, Director of Cantorae St. Augustine; Saturday, December 1, 9:30 am – 11:30 am; Villa Flora-Brown Hall Renewal Center, St. Augustine, FL. To register call 904-824-1752 or online at www.ssjfl.org Cost: $15. Enhance the anticipation of Advent and the joy of the Christmas season with music drawn from the Church’s treasury of chants. This two-hour workshop will give you short chants for the season, suitable for morning or evening prayer, for singing with your family or just by yourself. Some meditative, others spirited; some Latin, some English; from Ave Maria to Puer Natus, you will join 1,000 years of music. There will be some history of the season and feasts and lots of singing – enough to carry you through Twelfth Night! Hand-outs and links to online chants will help you make the music your own after the workshop. We will conclude by chanting midday prayer on the very last day of Ordinary Time. No prior experience with chant is required. Sacred Music Colloquium XXII at the Cathedral of the Madeleine in Salt Lake City, Utah. June 25-July 1, 2012. Musica Sacra Florida 4th Annual Gregorian Chant Conference at Ave Maria University in Ave Maria, Florida. Friday April 13 and Saturday April 14, 2012. Rehearsals and lectures on Gregorian chant and its use in the RomanCatholic liturgy. Theme: Pope Benedict XVI’s call for reform in continuity with Tradition and the mutual enrichment of the Ordinary and Extraordinary Forms of the Mass. Opportunities for in-depth study of single topics. Five intensive study tracks for the study of Gregorian Chironomy (conducting), Gregorian Semiology, Gregorian Chant in English, Church Documents and History of Sacred Music in the 20th and 21st Century, and a Clergy Training Track. English Chant Workshop at St. Joseph Catholic Church in Prattville, Alabama. Saturday, March 3, 2012. Techniques of singing and reading chant. Exploring the Propers and Ordinary chants as well as Psalms. Instructors Jeffrey Tucker and Arlene Oost-Zinner. Chant Workshop with Wassim Sarweh at Old St. Patrick Church in Ann Arbor, Michigan. Saturday, January 7, 2012. 2012 Winter Chant Intensive January 4-6, 2012, at St. Mary Seminary in Houston, Texas. Sponsored by CMAA Houston. Full immersion classes for men and women, culminating in an OF chanted Mass on Friday evening. Gregorian Chant and More. Nov.11-12, 2011. St. Benedict Church in Richmond, Virginia. Fr. Robert A. Skeris, Director, Centre for Ward Method Studies at The Catholic University of America. Sessions alternate singing Gregorian Chant with lectures on Sacred Music. The workshop will conclude with a Missa Cantata. More information here: Gregorian Chant and More Workshop. Singing the Psalms. Jacksonville, FL, October 25, 2011. Instructor: Mary Jane Ballou, Director of Cantorae St. Augustine. English Chant and Square Note Workshop, East Lansing, MI, August 27, 2011. Sacred Music Colloquium XXI June 13-19, 2011; Duquesne University, Pittsburgh, PA.
Musica Sacra Florida 3rd Annual Gregorian Chant Conference April 1-2, 2011. Musica Sacra Saint Louis Conference February 24-26, 2011. Winter Chant Intensive January 3-7, 2011; Old St. Patrick’s Church in New Orleans, LA. SING LIKE A CATHOLIC WORKSHOP at St. Ann’s Catholic Church in Charlotte, North Carolina; August 6-7, 2010. Lectures and Chant Instruction by Jeffrey Tucker and Arlene Oost-Zinner. EF Mass Saturday, August 7; Rev. Timothy Reid, Celebrant. View the Preliminary Schedule. Workshop Packet. Musica Sacra Florida 2nd Annual Gregorian Chant Conference . 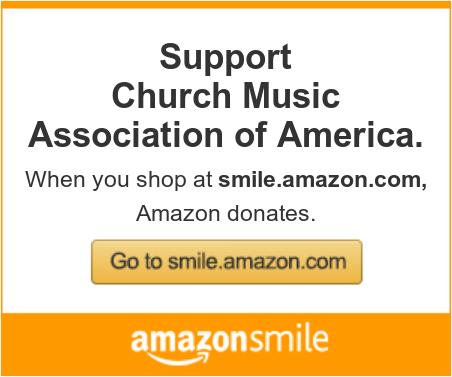 Sponsored by Musica Sacra Florida. Dates: March 19 and 20, 2010. Faculty includes Jennifer Donelson, Susan Treacy, Michael O’Connor, Mary Jane Ballou, Jeffrey Tucker, and Timothy McDonnell. Winter Chant Intensive at the Cathedral of St. John the Baptist in Charleston, South Carolina. Instructor: Scott Turkington. January 4-8, 2010. Traditions in Western Plainchant, sponsored by the Gregorian Institute of Canada, August 13-16, 2009. CMAA Fall Pilgrimage: Gregorian Chant at the National Shrine of the Immaculate Conception, co-sponsors: St. John the Beloved Church in McLean, Virginia, and John Paul II Cultural Center, September 25-26, 2009. 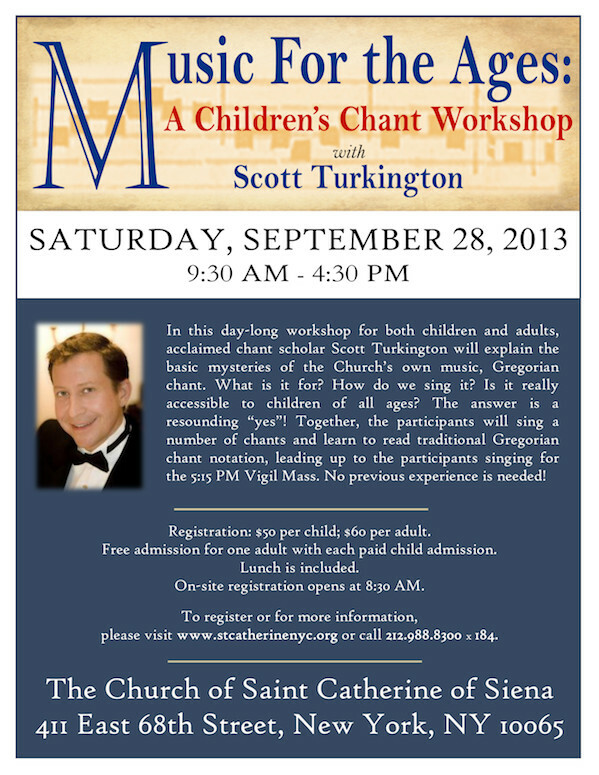 Chant instruction: Scott Turkington; lectures by William Mahrt (Stanford and CMAA); Final Mass in the Extraordinary Form, celebrated in the Crypt Church of the National Shrine, in the Year of Jubilee of the Basilica of the National Shrine, Washington, D.C.
Chant Classes in San Diego. Wednesdays Sept. 9- Nov. 11, 7:30-9pm at St. Anne’s parish in Logan Heights (621 Sicard St., San Diego, CA, 92113). Instructor: Mary Ann Carr Wilson. CMAA Chant Intensive, with Scott Turkington, June 15-19, 2009, Loyola University, Chicago. Mid-Western Chant Workshop, June 18-20, 2009, Benedictine College, Fr. Samuel Weber, O.S.B. Sacred Music Colloquium, June 22-28, 2009, Loyola University, Chicago. Lauda Sion: Catholic Liturgy in Time of Reform, June 13, 2009, St. Mary’s Parish, Kalamazoo, Michigan, chant instruction and lectures with Fr. John T. Zuhlsdorf, Jeffrey Tucker, Fr. Robert J. Johansen (St. Stanislaus Catholic Church), and Fr. David Grondz (Parochial Vicar of St. Mary Catholic Church). Sung Extraordinary Form: A Workshop for Priests and Seminarians, April 28-30, 2009 (Tuesday through Thursday), St. John the Evangelist Church, Stamford, Connecticut, taught by Fr. Scott Haynes (St. John Cantius) and Scott Turkington. Chant Workshop, San Juan Bautista, April 25-26, 2009, directed by Kathy Rheinheimer, at the San Juan Bautista mission, founded 1797, San Juan Bautista, California. Renaissance Polyphony Weekend, February 20-22, 2009, University of Dallas, William Mahrt conducting. Winter Chant Intensive, University of San Diego, January 5-9, 2009, taught by Scott Turkington (limited to 50). Sacred Music Workshop, McLean, Virginia. Oct. 17-18, 2008. Scott Turkington, director. Gregorian chant basics, St. Michael’s Parish, Miami, Florida, September 27, 2008, conducted by Jenny Donelson. Third Gregorian Institute of Canada Annual Colloquium, August 22-24, 2008, Benedictine Abbey, Saint-Benoit-du-Lac, Quebec, Canada. Pope Benedict XVI and the Sacred Liturgy, St. Augustine Liturgical Atelier of Hungary, August 21-24, 2008, Budapest, Hungary. Speakers: Conrad, S. FSSP; Dobszay, L.; Földváry, M. I.; Hemming, L. P.; Hoping, H.; Kolinski, D. CJC; Kocik, Th. M.; Kubilius, M. (AD FONTES); Pristas, L.; Reid, A.; Rihmer, Z.; Schmitz, R. M. ICRSS; Skeris, R.A.; Tanoüarn, Guillaume de IBP; Ullmann, P. Á. OPraem (StAugustie Liturgical Atelier). Conductors Seminar sponsored by Pueri Cantores, Mount St. Mary’s College, August 2-4, 2008, Los Angeles, CA. Chant Study Tour, Sponsored by Fr. Robert Skeris, July 21-August 1, 2008, Switzerland, Italy, Germany. Mid-western Chant Workshop, July 10-12, 2008, Directed by Andrew Mills, Benedictine College, Atchison, Kansas. At the Lamb’s High Feast: A Liturgical Seminar on Music and Theology, June 7, 2008, Kalamazoo, Michigan, with Fr. J.T. Zuhlsdorf and Jeffrey Tucker. Gregorian Chant Workshop: an introduction to sung prayer, Saturday, May 17, Oceanside, California, with Mary Ann Carr and Fr. Stephanos Pedrano, O.S.B. Sacred Music Workshop, Sponsored by the St. Cecilia Schola and led by Wilko Brouwers, February 1-2, 2008, St. Michael’s Catholic Church, Auburn, Alabama. Rocky Mountain Region Sacred Music Workshop, St. Mary’s Cathedral, January 18-19, 2008, Colorado Springs, Colorado. Gregorian Chant Workshop, San Diego, December 1, 2007, Mission San Diego de Alcala, led by Mary Ann Carr Wilson and Kathy Reimheimer. Sacred Music Shreveport, November 30-December 1, 2007, Cathedral of St. John Berchmans, Shreveport, Louisiana, led by Kurt Poterack. Missa in Cantu: Priest Training in the Sung Mass, October 17-19, 2007, sponsored by the Church Music Association and St. John Cantius, Chicago, Illinois, held at the parish in Chicago.